Simple parts breakdown; excellent casting and moulding; versatile pose; minimal cleanup required. 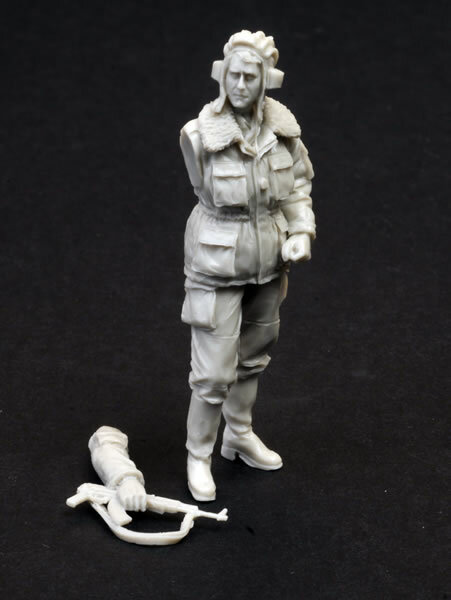 Neucraft Models is a new company that offers figures and vehicles in various scales for wargamers and military modellers. 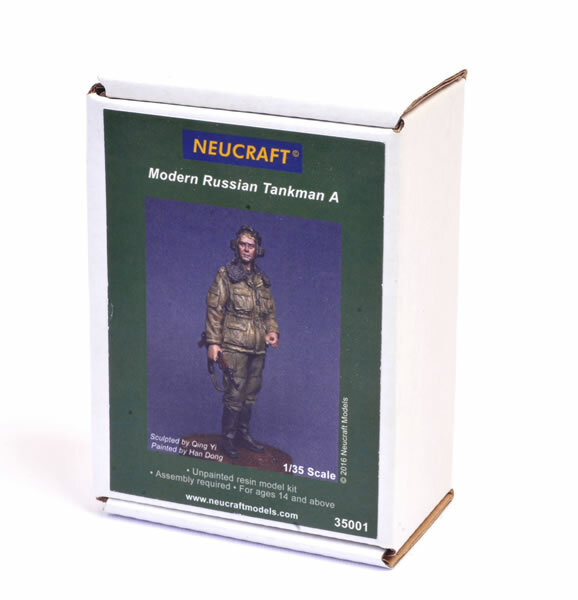 The first foray into 1:35 scale figure modelling from Neucraft is a Modern Russian Tankman. The figure is well sculpted in a natural, casual pose, with impressive fabric rendition and drape plus a convincing fur collar. He is carrying an AK-47 Assault Rifle and is wearing a Soviet style tanker’s helmet. He will be suitable for the 1980s onward. The face is really well rendered too. This is an impressive first effort from Neucraft, and the relaxed pose ad abundance of modern Soviet vehicle models makes him versatile too. The tankman could be standing beside a vehicle, on top of a turret, or placed on a small base as a standalone display piece.